Base Brisbane Central hostel is located in the centre of all the action and Brisbane is the perfect place to party, with its superb weather, bars, clubs and pubs, and the action! The heritage listed building is located in the very centre of the city opposite Central Station, providing everything you need at your fingertips. 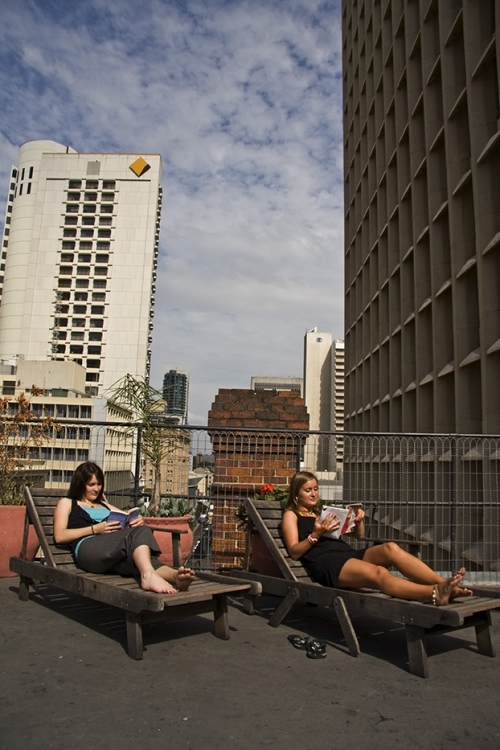 Accommodation at the Base Brisbane central hostel is monitored by a 24 hour reception. It's famous for atmosphere, comfortable beds and great nights in the Down Under Bar. Often described as a social meeting point, Base Central has 5 floors of fantastic features and a generous mix of dorm, double and single rooms. The rooms are fitted with lockers and secured by an electronic key system. They are serviced daily and all linen is provided. TV rooms, laundries, FREE daily bag storage and phone/internet terminals are all open 24hrs. The roof top is a small oasis in the heart of the city. 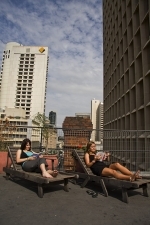 With great city views, the roof is a wonderful place to read a book, suntan or catch up with friends for a BBQ. Services Base CENTRAL provides include: The Job Club open 9-4 Mon-Fri to help those on working holiday visas. The Tour Desk is a great place to buy quality Aussie packages and The Bar & Cafe is open for meals from 7:30am until 9pm. 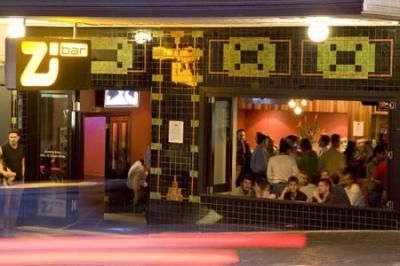 Underneath the beautiful building is the Full-On Flat Out DownUnderBar! One of the few backpacker only bars and the motto is 'Go Hard or Go Home.' A must do night out on the east coast and a perfect place to win beer, win prizes or just 'win on' however you like it!